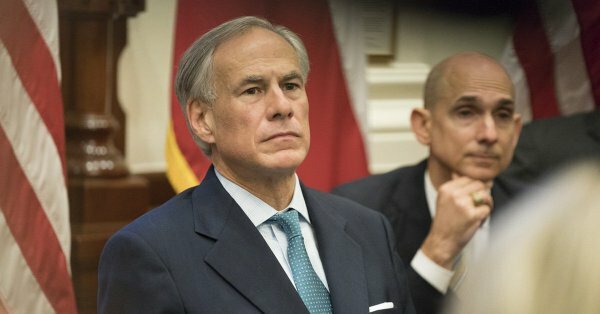 Texas Governor Greg Abbott revealed his plan and recommendations to increase school and gun safety today after 3 days of roundtable discussions with school officials, superintendents, law enforcement, survivors of mass shootings and people in communities impacted by gun violence. 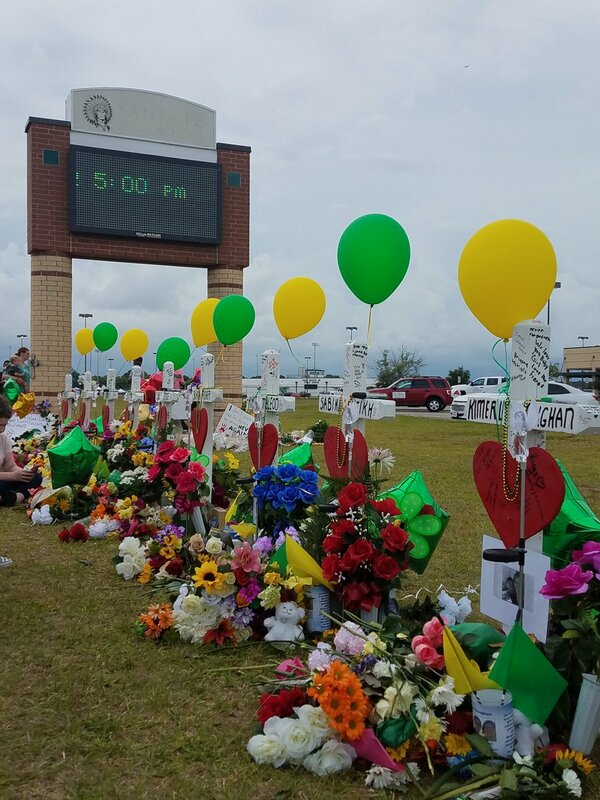 The governor also visited Santa Fe High School after a 17-year-old student killed 8 students and 2 teachers, wounded 13 others at the school on May 18, 2018. The student shooter used a .38 revolver and shotgun owned by his father. The student also made crude IEDs that didn’t explode. Abbott’s 44-page School and Firearm Safety Action Plan has 37 proposals with suggestions on how to implement them and funding sources. Hire off-duty and retired peace officers (police, sheriffs, constables and military veterans) for school resource officers for school security. “Upgrades to existing facilities are costly, though a variety of federal funds for equipment, technology, and security personnel are available to ISDs. The Legislature should consider evaluating these options and providing guidance to school districts on the issue.” Governor Abbott said. The governor’s plan also addresses preventing threats in advance with mental health screenings and psychiatric services. Abbott recommends expanding access to Texas Tech Health Sciences Center’s Telemedicine Wellness Intervention Triage and Referral Project. Since it began, more than 400 students have been referred to the program. “Students are identified by trained school staff and screened for risk-based behaviors by Licensed Professional Counselors in schools then provided psychiatric services by Texas Tech Health Sciences Center.” Governor Abbott said in his plan. Governor Abbott also recommends schools free up counselors to focus on students’ mental and behavioral health needs, add more counselors at schools and school districts devote money for the additional counselors. The governor also recommends using digital technology to prevent school attacks. In addition to expanding Crimestoppers at schools, Abbott also suggests parents, students and teachers use the Department of Public Safety ‘iWatch Texas” system to report harm or criminal activity aimed at students, school employees and schools. The “iWatch Texas app will be available June 7, 2018 as a standalone app. Tipsters also can use the digital technology at https://watchtx.org or call 1-844-643-2251. Governor Abbott also proposes changes to the Texas gun storage law. He recommends changing the law to include 17 year olds, eliminate the requirement that a locked-up gun must be loaded and increase the penalty from a misdemeanor to a 3rd degree felony if a child gains access to a gun, whether or not another person is shot or killed. “The policy proposals outlined in this plan are a starting point – not an ending place. This plan provides dozens of strategies that can be used before the next school year begins to keep our students safe when they return to school. These suggestions identify nearly $110 million in total likely funding, including $70 million that is already or will soon be available to begin this important work. Additionally, I have currently identified a specific need for $30 million that I will work with the Legislature to fund next session. This plan also provides strategies for the Legislature to consider. The strategy I most strongly encourage the Legislature to consider is greater investment in mental health – especially crisis intervention counselors. As long as mental health challenges trouble our children, there will never be enough safety barriers we can build to protect our students. If, however, we can address the mental health challenges faced by some of our students, it will do more than make our schools safer, it will build a better future for those troubled students and for our state” said Governor Greg Abbott. Click on link below to read Governor Abbott’s School and Firearm Safety Action plan. This entry was posted in Harris County News, Houston News, Texas News and tagged Governor Greg Abbott Proposals for School and Gun Safety, Governor Greg Abbott School and Gun Safety Action Plan. Bookmark the permalink.